nopCommerce is stable and highly usable open-source ecommerce solution based on ASP.NET (MVC) with MS SQL 2008 or higher as backend tool. It is fully customizable shopping cart providing both article front-end and an administration tool back-end. Thanks to nopCommerce active community, they offer a comprehensive base of information, resources, and support to the nopCommerce users. 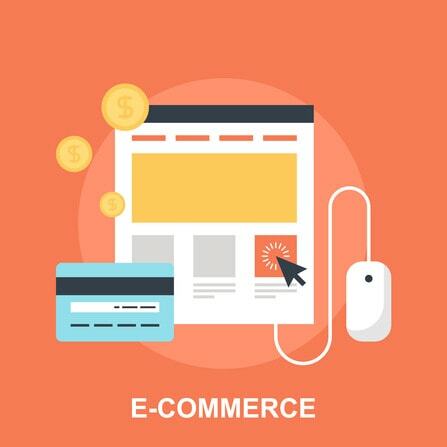 nopCommerce is undoubtedly one of the most widely used and easy-to-use tailor made shopping cart solution for merchants. What makes nopCommerce so popular is its open-source factor. You can download freely available nopCommerce’ source code here. nopCommerce’s download number of 1.5 million and Alexa ranking of 27,966 tells its popularity aloud. Kentico is another most popular web content management system to build websites, on-line stores and community websites. Kentico claims the Alexa ranking of 35,081 and more than 16,000 Web sites from 90 countries are using Kentico CMS solution. Applications made through Kentico are scalable to any size; from few webpage catalog to huge online store. Kentico allows developers to build their websites via Kentico CMS portal engine or through using Visual Studio. Kentico is bundled with complete set of features to build websites, intranets, community websites and e-commerce solutions. It also supports mobile websites, SEO, document management, online marketing tools, multilingual websites, and multisite management. Unpacking bundle of Kentico, you may find 70 ready-to-use modules, 450+ configurable web parts, and source code available on demand. Kentico improves the consumer’s shopping experience across all devices. Because, Kentico is loaded with built in tools like mobile responsiveness, Content Management Solution with full control over content, multiple language support, product recommendations, newsletters, Built-in analytics and reports wrap. Kentico has made checkout fully customizable to meet exact needs.It supports multiple payment options like PayPal, Authorize.NE eWay, SecurePay, Sage Pay in multiple currencies. Kentico users can enjoy ease of integration with their existing external systems like ERPs, CRMs, payment gateways and shipping providers. You can use Kentico’s Free edition to build your personnel and commercial websites. Kentico’s free edition comes with free license that never expires. However, you need to place the Powered by Kentico link pointing to Kentico website in the footer of every Kentico powered page. Free Edition does not include any technical support but Kentico forums are open to help you out. If you wish to evaluate Kentico’s full featured edition or Hosted trial, you can go with live 1-on-1 Kentico Demo. If you seek VevoCart professional support services, you can purchase it at $180.00/license. Licensed version of vevocart includes some of unique features like; Responsive website designs, Banner Positioning, Live Chat Integration,Multi-Store support, Rich Marketing Tools like; eBay Publishing and Facebook commerce. VevoCart is an ASP.NET PA-DSS certified eCommerce application which is designed and implemented to meet all PCI compliance requirements. In case you are using community version of VevoCart, you must keep copyright, “Shopping Cart Software by VevoCart” & backlinks.”at the footer of your store pages. You cannot remove the copyright unless you purchase a copyright removal license. VevoCart integrates with almost all famous payment processors. Merchants also can enable/disable each processor by visiting payment setting page. AbleCommerce previously known as “StoreBuilder” was the first commercially available shopping cart which holds highest ratings (A+ business) from BBB. It is a easily customizable, user friendly and affordable complete e-commerce solution. AbleCommerce was the first shopping cart system to be certified with new PA-DSS v1.2 standards. With the latest version, AbleCommerce has started the rolling out latest trend in e-commerce systems that most stores don’t even started to offer. AbleCommerce allows shop owners to offer subscription plans for the products that are being used regularly or too often; such as coffee, tea, refills, kitchen groceries and much more. AbleCommerce Gold can be considered as a complete package at one-time cost of $1295 which includes full mobile application feature. There is no free edition of AbleCommerce available in market, however, you can enjoy the 30 days trial before you make the purchase. In support area, AbleCommerce has community forums to ask questions, developer Wikis for developers along with Merchant Guide with well documented tutorials. Kartris is yet another e-commerce platform provides CMS catalog system, shopping cart, payment systems and full administration back end. It is designed to utilize powerful caching and optimization features of Microsoft’s IIS web server. Unlike other CMS, Kartris is build for 1,000,000+ brands with utmost importance given to reducing the number of queries and improving the execution of the stored procedures. The search feature of Kartris is designed to run full-text catalogs search faster even on stores with items. In addition, Kartris is also associated with services like store hosting, technical support and custom development. Source code of the Kartris (licensed with GNU GPL v2) freely available. However, at cost of 100.00 USD ‘powered-by’ notices and GPL copyright/warranty information can be removed.